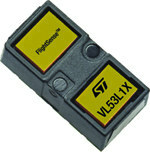 STMicroElectronics VL53L0X ToF (Time-of-flight) range sensor is a tiny chip that can accurately and quickly measure distance up to 2 meters using infrared light. I had the chance to test the sensor via TinyLIDAR board connected Arduino and Raspberry Pi, and found it was a great little sensor. TinyLIDAR includes an STM32 MCU, but you can also find standalone board for as low as about $4 shipped on Aliexpress. However, if 2 meters is too short a range for your project, the good news is that STMicro has now launched VL53L1X ToF “FlightSense” sensor with a range of up to 4 meters. VL53L1X is pin-to-pin compatible with VL53L0X, so existing PCBs could be re-used with the new sensor. 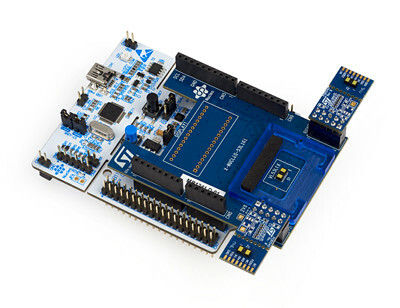 It’s still to early to find ultra-cheap (Chinese) VL53L1X boards, but the new chip can be tested using STMicro P-NUCLEO-53L1A1 Nucleo pack for STM32 Nucleo or X-NUCLEO-53L1A1 expansion board for STM32 Nucleo with you already own NUCLEO-F401RE and NUCLEO-L476RG development board. The Nucleo pack sells for $56, while the expansion board goes for $36. STMicro VL53L1X sensor itself sells for $3.6 per unit for 1k orders. More details about features, tools, and purchase links on the product page.